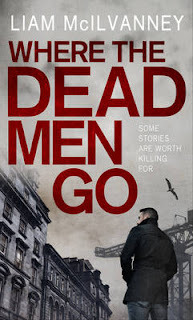 This is the second book by this author to feature the Journalist Gerry Conway, set in Glasgow just before the vote on Independence, and the hosting of the Commonwealth games. Gerry has rejoined the Tribune newspaper, but his crime spot has been taken by his former protégé Martin Moir. Moir always comes up with good stories but rarely comes into the offices. So when nothing is heard from him for several days, no one is concerned. His body is then recovered from his car in a flooded quarry. Is it suicide or has he been murdered? There are two rival gangs in the city and Moir has made enemies of at least one of the gangs. Conway is promoted to take over from Moir but because of the paper's perilous financial position due to falling sales, he has to cover Politics as well. Gangland killings are happening and Conway is busy but Moir’s wife Clare is convinced her husband was killed and wants Martin to investigate. Conway’s home life is settled but complicated. Living with Mari, a New Zealander, they have a little boy Angus. Conway’s ex wife Elaine has remarried and lives much to Conway’s consternation in their old family home with their two boys. Conway has a close relationship with a senior police detective called Lewicki. Besides doing his two jobs and trying to find out what Moir was doing, Conway is introduced to the Leader of Glasgow Council, Gavin Haining, a charismatic character who wines and dines him, but is he after something? WHERE THE DEAD MEN GO is a well written novel, full of believable characters and dialogue. The pace of the book is a slow build up to an exciting conclusion. I have already downloaded the ebook of the author's previous book ALL THE COLOURS OF THE TOWN. Recommended.